Epoxy.com offers a wide variety of Epoxy Garage Flooring products. We combine these products with related technologies, to provide a wide variety of solutions to your Epoxy Garage Flooring needs. 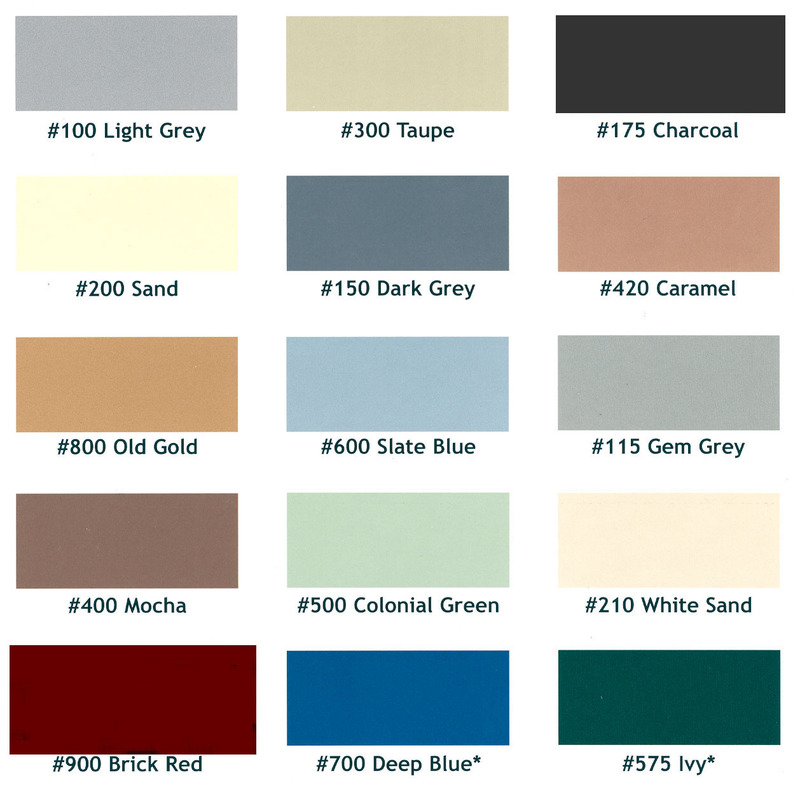 The 100% Solids Colored Epoxy Garage Floor Coating Systems can be installed as a single broadcast system. This will create a Colored Epoxy Garage Floor Coating Systems that is about 1/16 inch thick. Product #1 All Purpose Coating - a 100% solids epoxy Hi-Build epoxy coating used for high foot and light to moderate forklift and indoor vehicular traffic areas where abrasion resistance is required; for protection against mild corrosion; and as a decorative waterproof coating for Epoxy Garage Floors, steel and concrete tanks, etc Available in normal, fast, and Cold Temperature Cure versions. Can be used for all 4 types of Solid Colored Epoxy Floor Coating Systems listed above. This product is available in 15 standard colors plus black and white, for a total of 17 standard colors. Zero (0) VOC Epoxy. Product #2 Chemical Resistant Coating - a two component, 100% solids epoxy chemical resistant coating used to protect chemical concrete, steel and other structural materials from non-oxidizing acids and alkalines for both interior and exterior applications. Available in normal, fast, and Cold Temperature Cure. Can be used for all 4 types of Solid Colored Epoxy Floor Coating Systems listed above. 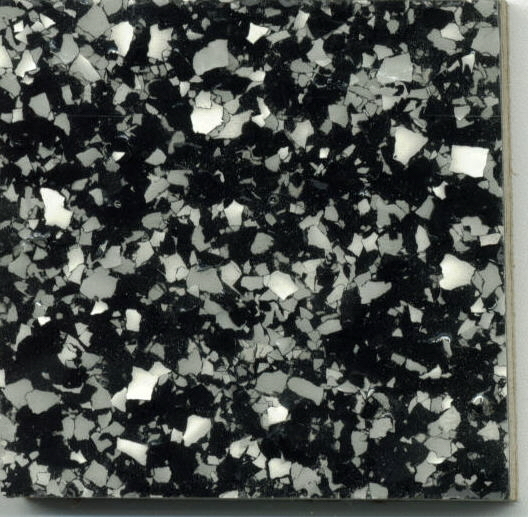 This product is available in 15 standard colors plus black and white, for a total of 17 standard colors. Zero (0) VOC Epoxy. Arguably the most cost effective, durable, and attractive Epoxy Garage Flooring System available to day is Epoxy.com Chip Flooring System. Multi-Colored Epoxy Garage Floors have a special role to play in interior design. The heavy technical demands made on floors often make the use of certain decorative products simply impossible. The use of color chips can change all that! 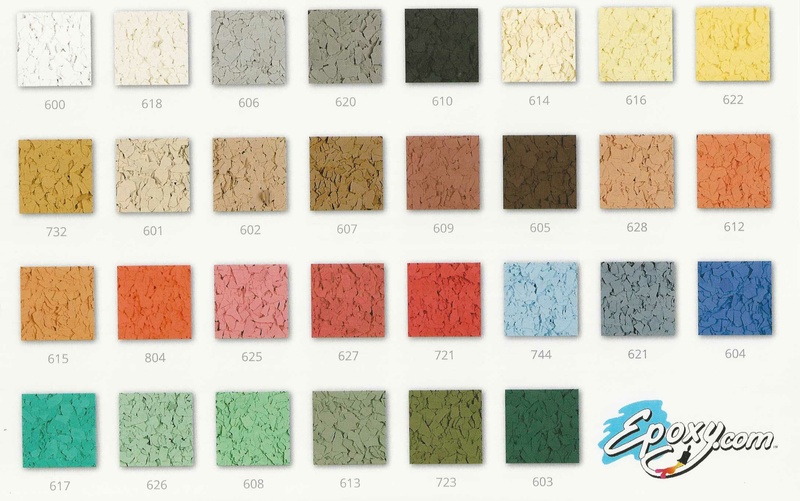 Color chips are increasingly being used in combination with "wet" products such as Epoxy.com Product #315 Polymeric Multi-Colored Chip Floor Resurfacing System to create decorative floors with more to offer than other ornamental products...Quality! Due to their easy application, these products can be used by both professionals and skilled do-it-yourself enthusiasts. Epoxy.com Epoxy Garage Flooring with Quartz - www.epoxy.com/15.htm, is a highly durable and economical Epoxy Garage Flooring System that is rugged enough for even the most demanding commercial applications of Epoxy Garage Flooring. The backbone of the Epoxy.com Epoxy Garage Flooring system with Quartz is Epoxy.com Product #15. Product #15 has been used in demanding applications for over 30 years. It can be found in high school bathrooms where it was installed in the late 70's. The very floors that were installed in the 70's have shown virtually no wear and no yellowing. You cannot do say that about typical Epoxy Quartz Flooring Systems. Epoxy.com believes in the Right Product for the Right Job. You do not have to accept a cookie cutter solution to your Epoxy Garage Floor. We offer many options. Above we are just a few possible solutions. Please call Epoxy.com Technical Support at 352-533-2167 and let us help you design the right system for your Epoxy Garage Floor.